Cold soup? Yes! It is delicious in the warm weather! Let us know how you like this Spanish dish. 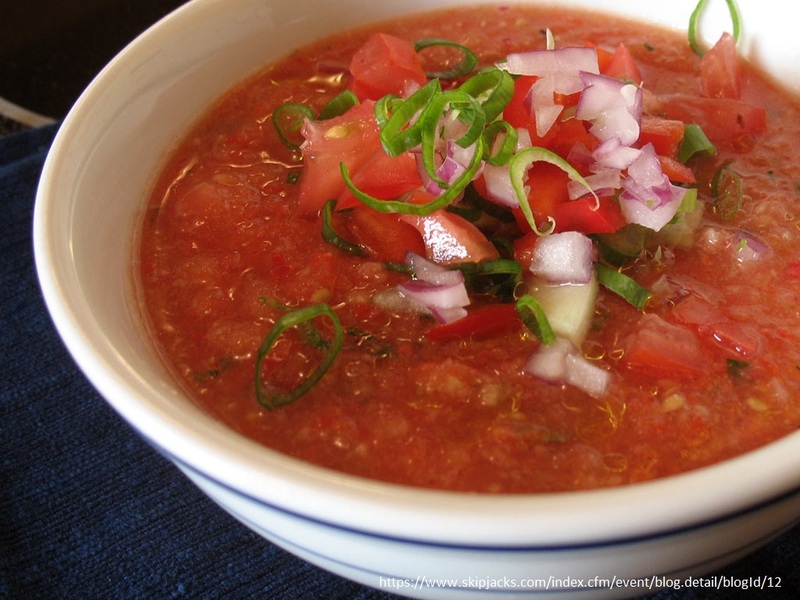 Mix diced tomatoes, peppers, red onions, celery and cucumber together in a medium bowl. Divide the mixture in half and separate in two bowls. Add one of the bowls into a blender. Add garlic and vinegar to the blender and puree until smooth. Add the juice, cayenne and cumin to the blender and blend. Add the puree to the bowl of diced vegetables. Refrigerate for at least 6 hours before serving. Garnish with cilantro. This entry was posted in Recipes and tagged cold soup, gluten-free, soup, Spanish soup, tomatoes. Bookmark the permalink.